Regional park officials and park users were upset when they unexpectedly found two acres of trees, in piles, on the ground on county land bordering Point Pinole Regional Park on September 14. The county, both park employees and visitors said, had not told them about the project. As part of a solar panel installation project for the West County Detention Center, about one hundred 85-year-old eucalyptus trees and a dozen oak trees were cut down, said Point Pinole Regional Shoreline Park Supervisor John Hitchen. Hitchen arrived at the park Wednesday morning at 8 a.m. to find a construction team and equipment already in place, and by Thursday afternoon all the trees were down. Park officials said they were concerned, not only about the landscape of freshly felled trees, but also about the lack of communication with the county. 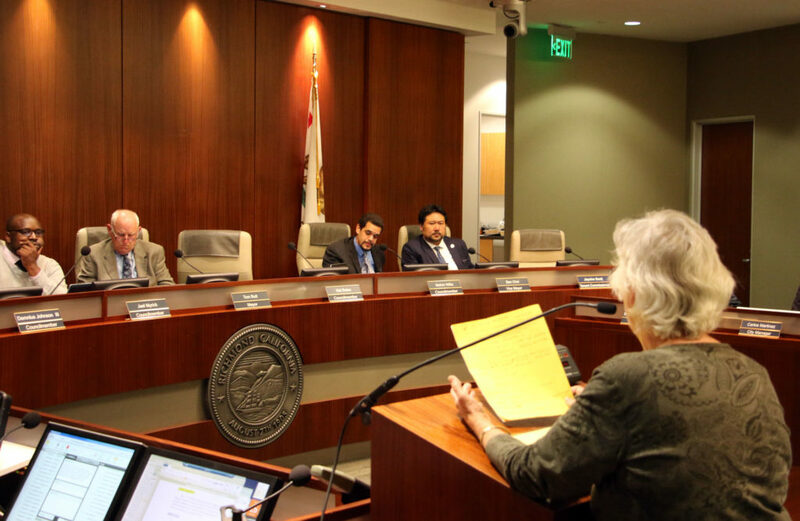 The County Board of Supervisors approved the project last September, along with twelve other solar panel installation projects across the region that will provide power to county facilities. “It’s a good project, but not a blank check to put the solar panels anywhere,” Supervisor John Gioia said after he first saw the clear-cut, more than a week after the construction teams started working. After learning the details, Gioia said he plans to ask the contractor to halt construction until they have met with park officials, and to find a better place to install the solar panels. Larry Tong, the interagency planning manager for the East Bay Regional Parks District, said he has requested a copy of the project development plans from the county, primarily to see is if any environmental assessments were performed before the trees were cut down. The project was exempt from environmental review under California Environmental Quality Act guidelines because West County Detention Center is an existing structure involving no expansion of use. Main Street Power, the Colorado-based company in charge of the construction, had a biologist assess the area within 300 yards of the construction site and found no birds or active bird nests, said County Facilities Maintenance Manager Roland Hindsman. Clearing the trees effectively “killed two birds with one stone,” Hindsman said – allowing the installation of the solar panels and removing the fire danger. The species or number of trees that were cut has not been formally assessed, but any oak trees found to be felled will be replaced, Hindsman said. He added that since the mature eucalyptus trees are nonnative, they will not be replaced. Gioia, though, said he plans to meet with park officials to find a plan to replace the eucalyptus trees with native oak trees. Park officials and regular park visitors were dismayed. The public was not “informed about this heartbreaking destruction of our fragile environment,” said Teri Katz, a regular walker at Point Pinole and tree team chair on the North and East Neighborhood Council. This is heartbreaking news! I was raised in Richmond. Though I now live in Seattle, whenever I come visit the Bay Area I love to walk the trails of Point Pinole. It’s so sad that these trees, which were older than most of us, were axed without due process. I hope that the county will replace them with larger mature trees. Get rid of the eucalyptus trees around the bay. Didn’t the Oakland hills fire teach us anything? They should have left as many oaks as possible. In obtaining its permit, doubtless the contractor went through all the appropriate hoops to develop this project: now it is being told to shut down. I do not favor less regulation, but I believe that if existing regulations have been met it is unfair to throw up a new road-block — and after a project has started! This is exactly the sort of thing that gives California a reputation for being a difficult place to do business. There is a process and when the process is followed – it works and this type of uproar doesn’t happen. In this instance – the process wasn’t followed. 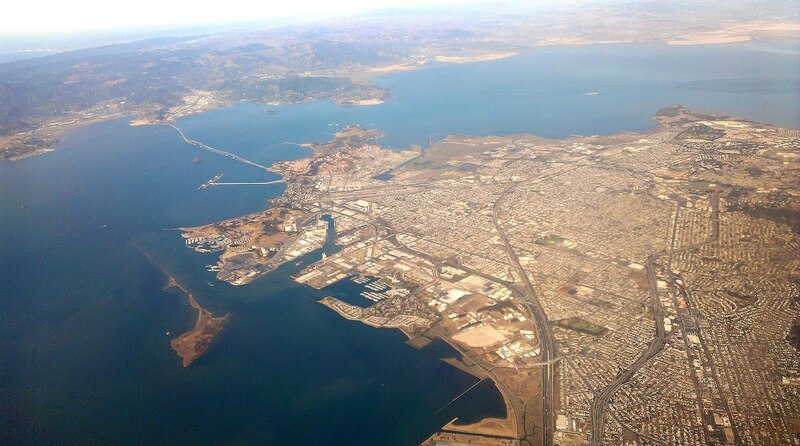 The county didn’t follow their own regulations – much less CEQA. This project screams for “an ounce of prevention”. Mr Hindsman misread CEQA, didn’t understand how it should be applied, and mistook a preliminary approval of a general solar project as being suffienct to allow for development. Unfortunately, planning practice and environmental law doesn’t support it. hopefully, they move beyond placing blame, the county takes responsibility, and a solution is found. This is the second clear cut in the past year. They cut down acres of trees claiming they were going to build a new bridge to a new parking lot on park property. Seemed odd to me as they have a huge parking lot that is never filled. This solar project was in the works for years and a now defunct parking scheme that failed smells of influence peddling. This needs to be investigated.